Police on Wednesday arrested a 37-year-old Darien woman who accosted a motorist she claimed had nearly struck her with a car. At about 5:46 p.m. on Sept. 12, officers were dispatched to the parking lot of Fjord Fish Market on East Avenue on a complaint that a bicyclist had almost been hit by a vehicle, according to a police report. 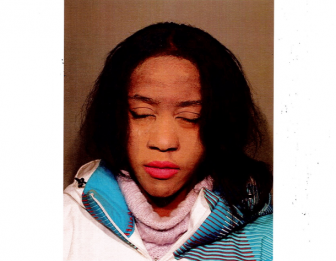 There, police learned that the cyclist, Adaobi Kurylov, was riding a bicycle northbound on Main Street and approaching the intersection at East Avenue, the report said. A vehicle driven by the victim also was traveling north on Main Street and used a turn signal to indicate a right turn onto East Avenue, it said. The motorist turned right and then left into the parking lot, police said. Kurylov, on her bike, followed the car into the parking lot and confronted the victim, saying she’d nearly been hit, according to the report. Following an investigation, police charged her with second-degree breach of peace, a misdemeanor offense. It isn’t clear just what Kurylov said to the driver, whether threats were made or a physical confrontation ensued. Kurylov was released after promising to appear Sept. 20 in state Superior Court in Norwalk. This isn’t her first brush with the law. One year ago, Kurylov was charged following a dispute with motorists and police while riding her bicycle in northern New Canaan. In December, she assaulted an elderly Darien man who approached her in that town after a collision between her (on her bike) and his car. He’s suing her. In January, she assaulted a police officer who had stopped her after she committed multiple traffic violations while riding a bicycle downtown, and to enforce a re-arrest warrant for a separate incident. In March, Darien Police charged Kurylov with third-degree assault and disorderly conduct. She then was arrested in April by Stamford Police and charged with disorderly conduct, and charged by Darien Police in June with dozens of counts of illegally obtaining and selling prescription drugs throughout 2017. Last month, Darien Police brought several motor vehicle-related charges against her. Kurylov is involved in other legal matters, according to Connecticut Judicial Branch records. In June, Avalon Bay Communities in Darien filed to evict her from the premises after she assaulted someone there. She’s also getting divorced.